Opening a bank account for a minor is a great idea and can go a long way to teach them the savings habit as well as a good way to plan for their future. Here’s how to open a minor account in India. Opening a bank account for kids is a great way to teach them the meaning of money and savings at the same time it can be an excellent way to start planning for their future too. 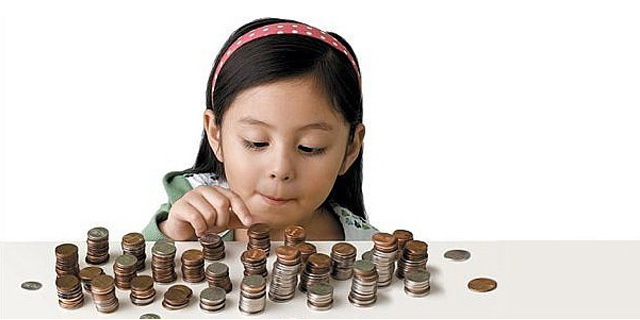 It is always good to start early in life when it comes to savings and investments and hence it is a good idea to open a bank account for your minor child in India, often called a Junior account by some banks. Minor Account can be opened for a Person who is less than 18 years or age. In some cases if there is a court’s judgement or legal arrangement, this age can be up to 21 years as well, but these are special cases only. The Parent or Guardian must have their individual account in that bank as well. The Account will be jointly held by the Parent or Guardian and can be operated by the Parent or Guardian on behalf of the Minor if the Minor is below 10 years of age. Once the minor is above 10, he/she is allowed to access the account on their own. The regular savings bank account rules apply to the junior savings account as well for minimum balance, yearly charges, withdrawal limits etc. ATM and Debit Card as well as Cheque Books can be issued for a Minor Account. However certain banks may or may not issue either the cheque book or Debit Card/ATM cards. Some banks may provide additional Life Insurance for the Parent or Guardian with the Minor as a beneficiary in case on any untoward incident. A regular Account opening form will be required to be filled by the parent or guardian with the Minor being the first holder and the Parent/Guardian as a Joint Holder. PAN details of the Parent/Guardian will be filled in the section provided for it. There will be a separate form for the Parent/Guardian to be filled for their details. The signature will be of the Parent/Guardian for account operations. photograph may or may not be required. Banks like SBI have an online Form Fill-Up procedure wherein you need to fill-up the form on their website and take a print out, sign it and attach the photograph and submit. This procedure is faster since the form is filled already and since it is done online, SBI generates a reference number which is used by the branch to process the account opening. Once the minor account is operational, you can carry out all regular banking transactions like depositing money, withdrawing money, opening an RD or FD etc with the account. If the minor is 10 years or above, he/she can operate the account on their own however you can specify the limits to the withdrawal. Once the minor is a major, his/her signature will be verified and latest photograph attached and the same Junior Account will be converted to a regular Savings Bank account. Having a Minor account is a great way to save for your kids as well as once they are 10 years of age, you can start teaching them about banking and also how to manage their finances. Hope this post helped, and if you haven’t opened a Minor account for your kids, you should do it right away. My cousin is 10 yrs old, she wants to open an account in SBI so can I do that online. I mean can I apply for minor account opening online? Hi my son is 2 year old and 2 days back i completed all the procedure for opening an saving acct. But while depositing money cashier told me dat as you are mother you can’t b nominee of your son acct. But manager told me dat dnt worry u can operate. But still I dint got confirmation dat my son acct is activate or not. I dint get any msg..so what I should do? You can contact the bank’s branch manager directly to understand the issue. If you are the guardian and have the savings account linked to your own, then you can withdraw, deposit and operate the account for your son. So do ask the manager if there are any specific rules that he can help you understand it -Ask him to show any written rules if possible. Thank you for giving an idea! this will help for the children’s in future. i want to opened account in bank for my daughter. age 2 years is it posible? i hav daughters documents only birth certificate. Yes, you can open an account in the bank for your daughter. The birth certificate is fine. Apart from that, the minor account is linked to a parent or guardian’s account, so you will need to have an account in the same bank. Also, your documents like PAN Card, Aadhar card, etc. will be required alongwith your daughter’s birth certificate. Thanks, its a good idea to learn kids about saving and banking as well. Minor account may creat a bright future for children…………..Its a very good plan. I assume you mean can the bank issue an ATM card for a minor. Well, yes it depends mostly banks these days do have an ATM card for minor accounts with certain limitations. However in most of these cases the minor must be of minimum 10 years or more to be able to have the ATM card issued.